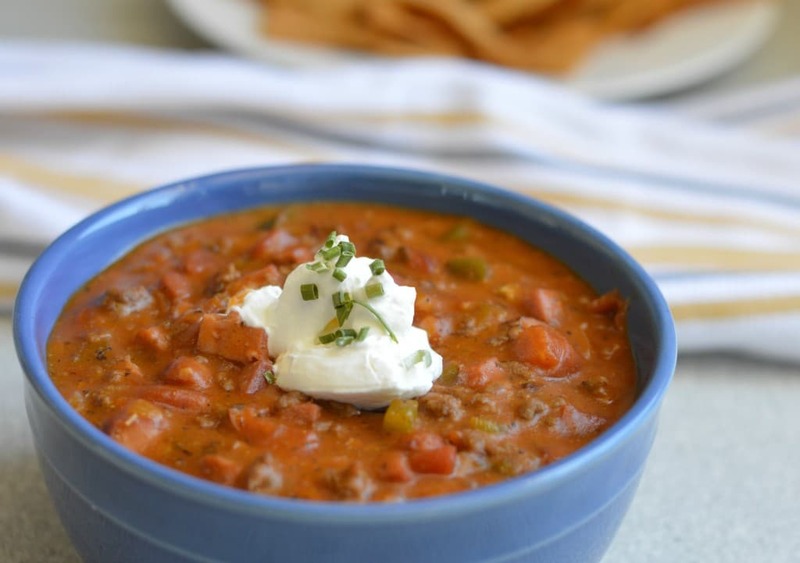 Inside: This chili con carne recipe has such a rich, savory flavor that you will not be able to stop eating it. If you are a looking for a chili con carne recipe that is creamy, delicious and that doesn’t have any beans, this recipe is for you! It goes great with some delicious chili cheese nachos. Chili con carne is a staple of Tex-Mex cuisine, and in my opinion it is very similar to the frijoles charros that we eat in Mexico. It does taste quite different, but is so delicious! 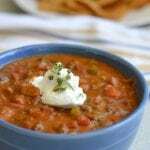 Some of the main characteristics of most chili recipes are that they have beans, and that they have a deep smoky flavor. 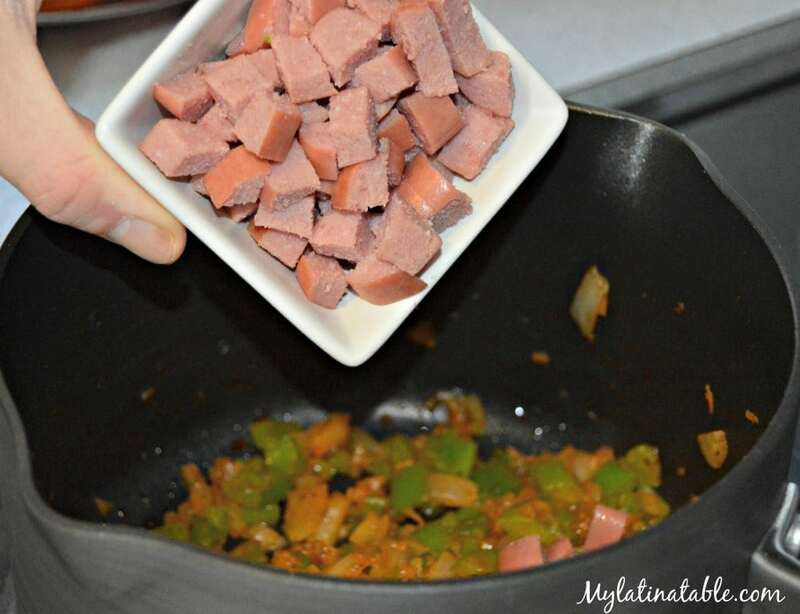 For this recipe, we have omitted the beans, and we have added some delicious smoked sausages (which is a shout out to the delicious chili dog!). 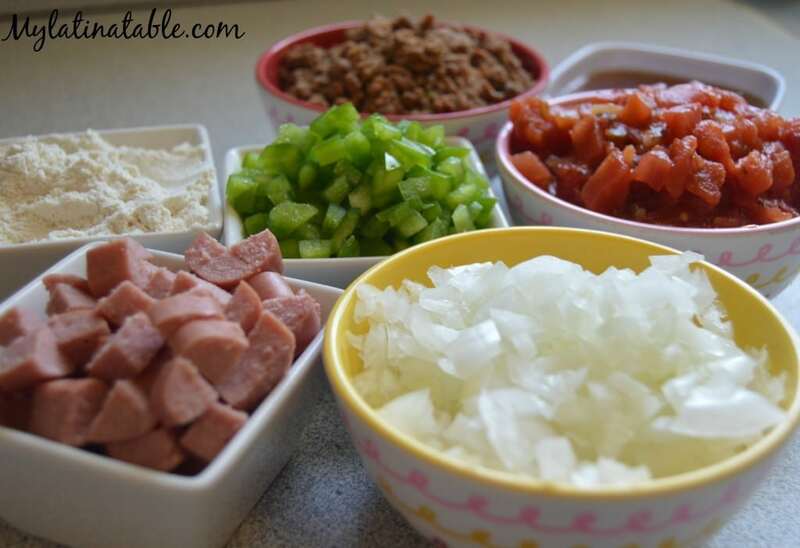 This is definitely the best chili con carne recipe that I have tried! When we were in Texas visiting a few years ago we tried quite a few version of chili con carne, and one of our favorites was in a BBQ place called Cooper’s. Since then we have tried to reinvent something that comes close, and haven’t had much success – but that all changed with this recipe! This time we found all of the ingredients that we needed to come up with a perfect recipe – it is smoky, creamy, and full of deep flavor. I am sure that once you try it, you will see that we aren’t lying when we say it is the best! This is the best Chili con Carne around, check it out here! Combine all of the spices for the seasoning mix. You may not use all of this. Heat a small amount of olive oil in a deep pot. 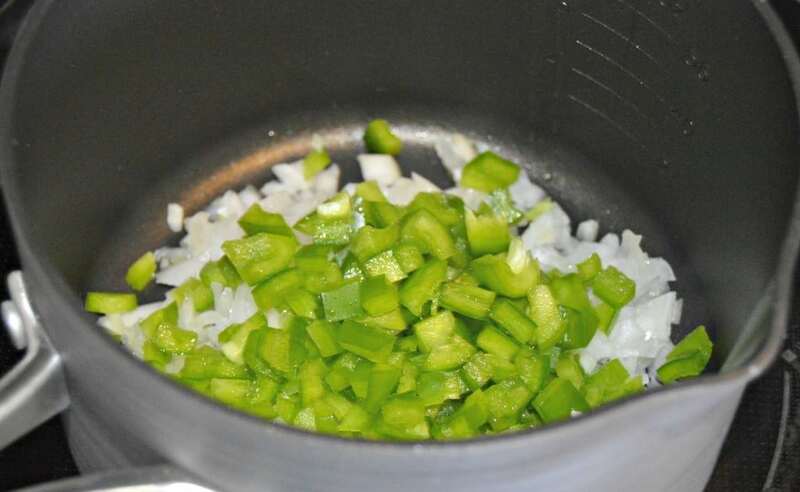 Add the onions and green peppers and saute. Add a couple tablespoons of the seasoning and a few drops of Liquid Smoke and mix well. 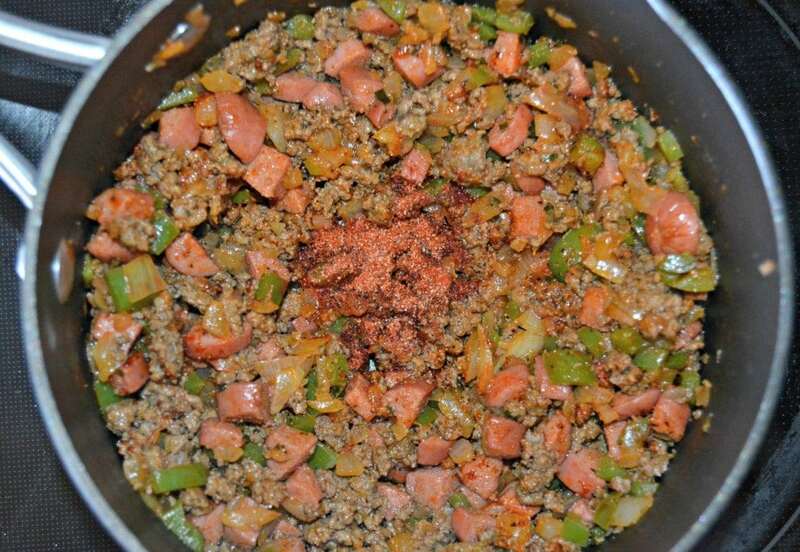 Add the smoked sausage and ground beef (cooked separately), stir and let cook for about 5 minutes. Add the can of diced tomatoes, the can of beef stock, and some more of the seasoning mix. Bring to a slight boil. Begin adding the corn flour a little bit at a time, stirring constantly to avoid lumps. Continuing adding until arriving at you desired consistency. Add more of the seasoning and liquid smoke to taste. Let cook for a few more minutes and then serve with fresh tortilla chips, sour cream, and cheese.